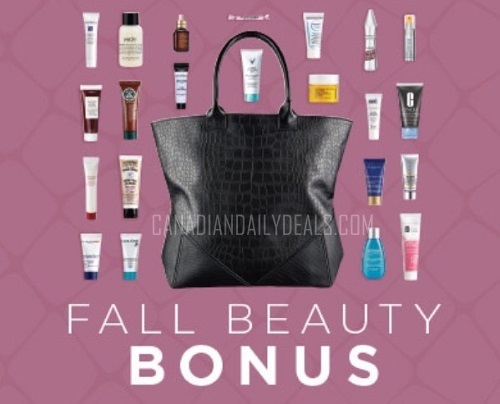 Shoppers Drug Mart's BeautyBoutique in-store and online has a great new Fall Beauty Bonus! When you spend $125 in the BeautyBoutique you can get this Fall Beauty Bonus free! This gift with purchase including a tote and 22 samples including such brands as Clinique, Benefit, Estee Lauder, Biotherm, Lancome and more! Offer is valid October 8 - 22, 2016 or while quantities last. how will you know that the tote is included in the online purchase if youve met the minimum? I would assume it would automatically get added to your cart if it was still available.